Sometimes, animals cause wounds with their teeth and claws—but in other cases, animals wreak havoc with the parasites they carry. Everyone knows about rabies and the bird flu. But there are other, equally (if not more) awful zoonotic diseases people can contract from both wild and domestic animals. Here are the seven most vile. Marburg, a filovirus, is a rare type of hemorrhagic fever and a cousin of Ebola. Scientists suspect that the virus is spread through direct contact with bodily fluids and tissues of the infected, or by handling objects that have been contaminated. People infected with Marburg first experience fever, chills, and a headache. Five days in, they'll get a rash on the torso, followed by vomiting and diarrhea. Symptoms can become increasingly severe, and can include liver failture and multi-organ dysfunction. In outbreaks, 90 percent of people who came down with Marburg didn't survive. The virus was first recognized in 1967, when outbreaks occurred simultaneously in labs in Marburg and Frankfurt, Germany, as well as Belgrade, Yugoslavia, caused by human interaction with monkeys that had the disease. The natural host of the virus, however, was a mystery until this week, when scientists at the Centers for Disease Control announced that they had isolated the virus in African fruit bats. 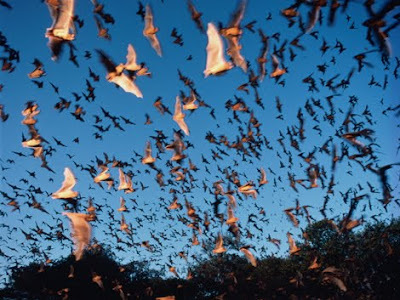 Researchers at CDC established a genetic link between the virus found in bats that live in a mining cave and the virus in the miners who worked there. Mom was right—wash your hands before you eat. If you touch surfaces contaminated by feces or eat or drink food that has been contaminated, you could swallow pork tapeworm eggs, which hatch inside the stomach, penetrate the intestine and travel through the bloodstream to other parts of the body, including the muscles, brain or eyes. There, they could develop into cysticerci (cysts). Cysts in the eyes cause blurry vision and infection could lead to swelling or detachment of the retina. If the cysts are in your muscles, you might feel lumps under the skin. When the tapeworms form cysts in the brain—called neurocysticercosis—the real trouble begins: Depending on where and how many cysts occur, the infected victim could have seizures, headaches and brain swelling. If the infection is severe, the patient could die. The first symptoms of Hantavirus, which occur one to three weeks after exposure, are similar to the flu—fever, chills, muscle pain, fatigue—but the virus gets much, much worse. Symptoms progress to headache, dizziness, abdominal pain, vomiting and diarrhea, then to coughing and shortness of breath. Fluid builds up in the lungs, causing Acute Respiratory Distress Syndrome (ARDS), blood pressure drops, the heart beats too quickly or too slowly, and victim's organs fail . If the disease isn't treated quickly, the patient could die. 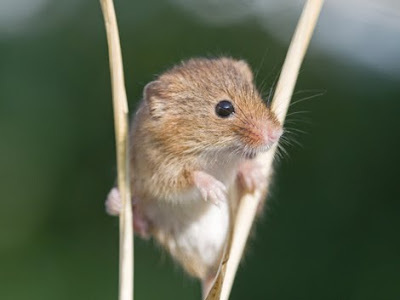 Humans get Hantavirus from the saliva, urine and droppings of wild mice and rats. (The common house mouse doesn't carry the virus.) The disease is spread by touching areas where the animals have nested or by inhaling dust laced with hantavirus from dried urine and droppings. HPS was first discovered in 1993, when an outbreak in New Mexico killed several otherwise healthy young people. 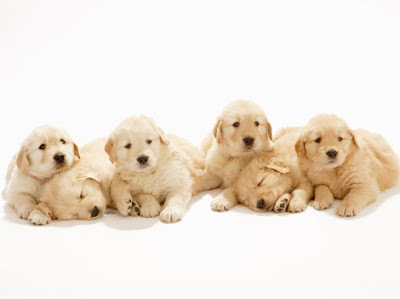 Dog might be man's best friend, but your pooch is also capable of passing on parasitic roundworms, and so is your cat. 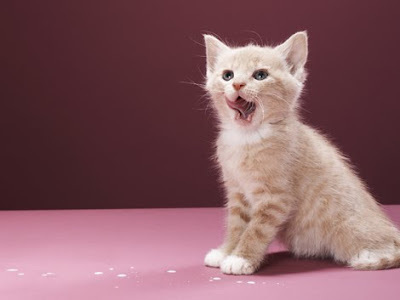 Which is why you should keep your kids out of sandboxes and soil and wash your hands after cleaning out the litterbox. If you don't, you could end up swallowing roundworm eggs, which live in dog and cat intestines and are expelled through stool. When a worm enters the eye, toxocariasis can cause Ocular larva migrans, a disease that can lead to blindness. Visceral larva migrans may also occur, causing swelling of the body's organs and central nervous system. Symptoms include fever, coughing, asthma and pneumonia. The most severe cases occur in young children, but on the whole, serious cases are rare. Alveolar Echinococcosis (AE) is a result of infection by a microscopic tapeworm whose eggs are too tiny to see and stick to just about everything they come in contact with. Humans become infected via "hand-to-mouth" transfer: By eating food items contaminated by the stool of foxes or coyotes, handling dead animal carcasses without gloves or by petting dogs and cats that may have the eggs in their fur from either their own stool or from wild animal droppings. The tapeworm causes parasitic tumors of larvae to grow most commonly in the liver, and less commonly in the lungs, brain and other organs. Symptoms may not occur for many years after infection, but eventually include abdominal pain, weakness and weight loss—sufferers can confuse the symptoms with liver cancer and cirrhosis. Surgery is necessary to remove the masses, but getting rid of the whole thing is difficult so medication is used to keep the cysts from growing back. If left untreated, AE can be fatal. 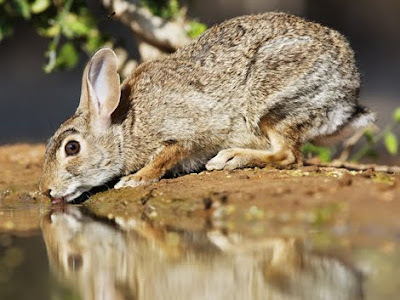 Tularemia is carried by rodents, rabbits and hares. People can become infected by being bitten by an infected tick, handling the carcasses of animals that carry the bacterium, eating or drinking contaminated food or water, or breathing in the bacteria. Within five days of infection, symptoms begin to appear: Sudden fever, chills, diarrhea and muscle aches, ulcers on the skin or mouth, swollen lymph glands and eyes, and a sore throat. Though the disease is incredibly infectious—as few as 10 to 50 organisms can bring it on—it is not known to pass person-to-person, but can be fatal if not treated quickly. The nasty Baylisascaris parasite lives in the intestines of raccoons, where it lays millions of eggs that make their way into the world through feces. The eggs are extremely hardy; with enough moisture, they can survive in soil for years. People become infected when they ingest the eggs in soil, water or on contaminated objects. The eggs hatch into larvae in the intestine and more through the liver, brain, spinal cord and other organs. Symptoms of infection are nausea, fatigue, liver enlargement, loss of coordination and muscle control, and sometimes blindness and coma. 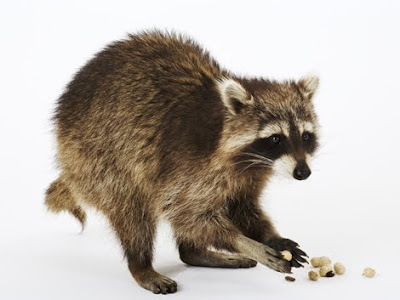 Cases are extremely rare, but anyone who lives where raccoons live is at risk; hunters, trappers, taxidermists and wildlife handlers could also be at risk for infection.